Calling all artists, makers, and creators! 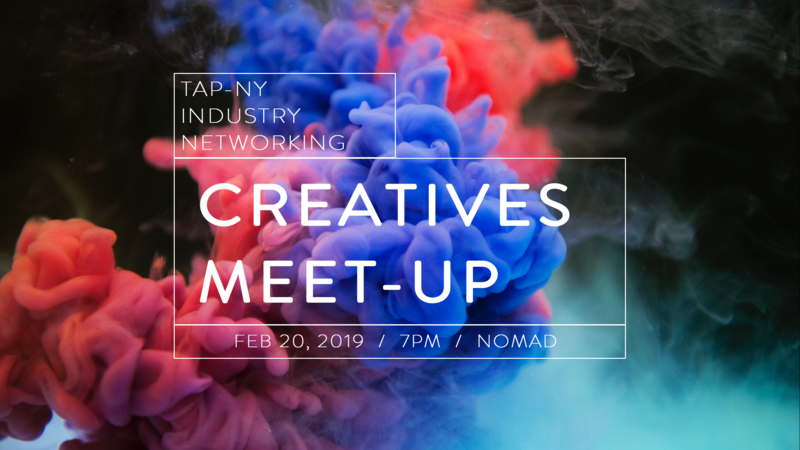 For TAP-NY’s next Industry Meetup, we’re bringing together members of the creative class to foster connections and share experiences over wine and charcuterie in NoMad. Working as a creative could mean anything from photography and design to illustration and writing. Regardless how you express your creativity, or whether you freelance or work in-house, we welcome you to join us for a small group discussion about the industry with other TAP members who share similar career interests. For the purpose of keeping the event small, attendees will be selected via lottery. Those selected will be notified and sent the location (again, in NoMad) ahead of the event. All attendees will cover the cost of their own food and drinks. TAP-NY’s Industry Meetups bring together people working in or interested in breaking into certain fields. Be on the lookout for more industry meetups in the future! Seat lottery closes on 2/17 at 12pm!